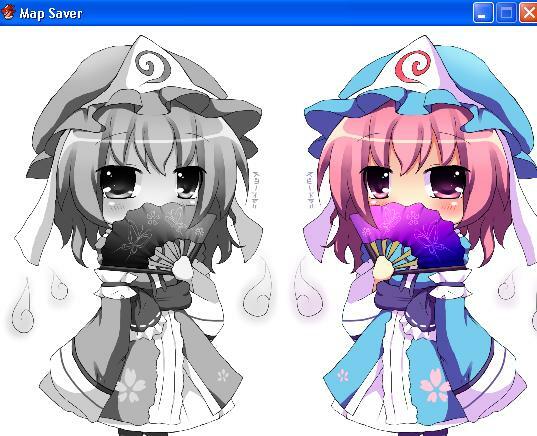 By Tsukihime, April 30, 2012 in Completed Scripts/Plugins/etc. There must be an easier way to work with picture objects. This script extends the Game_Picture class with additional methods that manipulate the picture object, and exposes a set of functions to the Game Interpreter..
You can combine any call together as well. Make sure that a picture with the specified filename exists in your Graphics Pictures folder. Note that spin_pic(0) stops your picture from spinning. *You should make sure you have a valid picture on the screen before you call the picture manipulation methods. *picture is still on the screen even if you switch maps. When it says "wait" it means the whole game waits while the action is being processed. If you want something added just ask. I'm just adding wrappers based on order of difficulty. May be updated at anytime when I find more ways to work with Picture objects. Script has been updated with some more amusing functions. *shift_pic - moves the picture over, relative to the current x,y coords. I am not too sure about my design though. I basically fetch a copy of the bitmap from cache in order to have easy access to the width and height attributes. I need those values in order to be able to spin the image on the spot. Can you give an example, please ? Because I would like to use your script for changing the skin of the default menu. Is it possible ? If yes, I would like to know how to do it. Windowskins are controlled by the Window_Base class, so it is not related to the Game Picture class. I've posted a topic here discussing window skin changing via script calls. I would imagine that a larger "configuration" script already has window skin changing support but I don't know what they might be. I've added "wait for completion" functionality so you can chain a bunch of commands together. would allow you to spin your picture while it's moving to the target coords. Also note that spin_pic(0) turns off spinning, if you're wondering how to stop your image from spinning. Note that not every method has a "wait" function because it doesn't really make sense for pictures that don't take effect over a period of time to have a wait option. But it is TOO slow since they are not cached apparently. So I have not included it. Maybe if I find a better way to do it. I've also generalized it so you can draw a picture in a battle as well. The problem is that you could in theory want to draw a picture anywhere (through script calls from the script editor) but I haven't seen anything that requires that. When I say horizontal flip, it means I'm flipping it along y-axis, relative the center of the image. Similarly, vertical flip is along x-axis. It is not the same rotating 180 degrees. Spinning has also been implemented correctly. Now you can toggle spinning on and off. All operations can be combined together. I rewrote the library by moving all of the picture indices to the first argument. Turns out the index is used more often than all the other parameters after I took this picture lol. Thank you for your script, Tsukihime. must I paste its methods in their respective class? Just paste in a new page. I've just did that, however the game returns a script error. (with @image = Game_Picture.new) but that doesn't remove the error. These are meant for event script boxes. I've probably sample calls in the first post. Actually, I'm trying to use these methods in a script in the script editor. I haven't written any scripts using these methods. You would need to create a picture sprite and assign it a specific Game_Picture. And then you need to make sure the sprite is getting updated. Event commands are definitely simpler. If its not possible, its a good idea for an update, don't you think? Pictures are drawn on the screen, and the screen is basically the camera. I don't know how to draw pictures on the map directly..
Hi, Love your script and using it in my game. I recently started to add save points in my game and discovered that after displaying a picture using your script i wasn't able to save my game anymore. 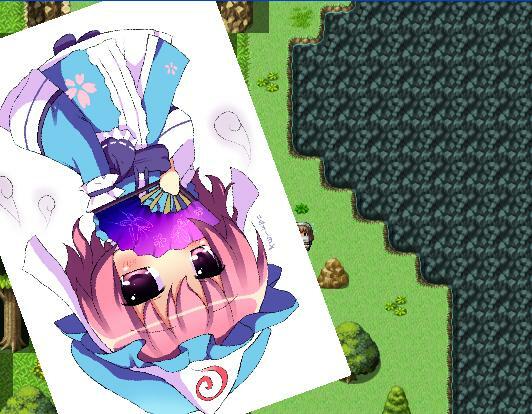 I looked in another thread http://www.rpgmakervxace.net/topic/4601-yanfly-saving-glitch/ and noticed others have the same problem. However using his fix (Comment out code) didn't help for me. Do you have any other ideas on how to fix this problem? Or could you show me some code on how to display a picture without using your script? hey tsuki! I got it! its a mix from 2 scripts (Seer UK and Yanfly Channel), when the switch 11 is on all the pictures are fixed, when the picture name contain "[FIXED]" that picture is fixed. I have added that snippet into the picture wrapper. If the picture is not fixed, it will become fixed. You can pass in `false` for the bool if you want to un-fix it. However, I have not worked out the coordinates when you change the fixed value so...you should avoid doing that. Then the picture will appear in the correct spot, where x and y is the position in tiles. I think is perfect in that way, you did it... (again), tsuki! I really have to do something about the coordinates. I said the default origin should be 1 (centered) because that makes rotating images really easy, but I think some parts assume origin 0..
lol, what is all that trig calculating? Pictures are rectangular; would that make it easier? It's probably easier to just assume all positions are specified based on centered origin and simply offset the picture by (width/2, height/2) to make up for that. Internally they would be stored as centered origin, but of course I tell people to think in terms of upper-left because...that is probably easier to imagine.